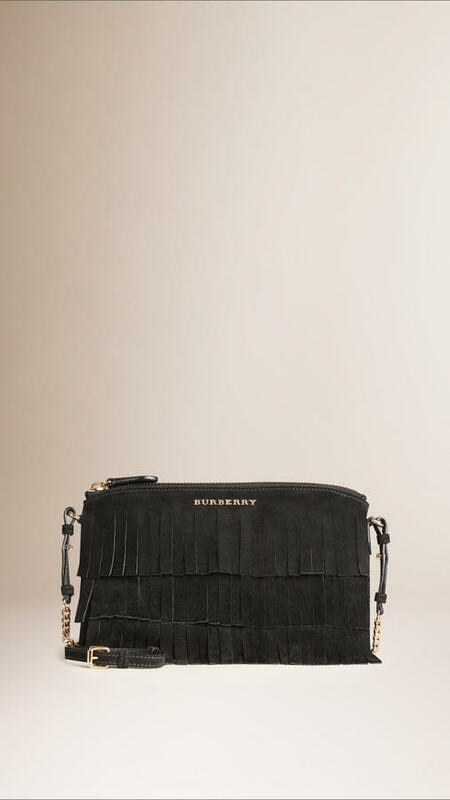 If you're obsessed with functionality dressing when it comes to your personal style, you'll love this extra adorable combination of a black leather biker jacket and a Burberry suede clutch bag in tiered fringing from Burberry. 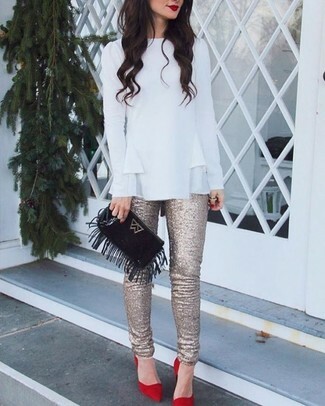 When it comes to shoes, this ensemble is round off nicely with white leather high top sneakers. If you're all about relaxed dressing when it comes to fashion, you'll love this cute pairing of a white ruffle long sleeve blouse and a Burberry suede clutch bag in tiered fringing. Bump up the cool of your outfit by completing it with red suede pumps. 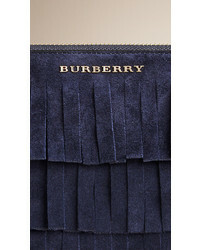 If you're a fan of relaxed dressing when it comes to fashion, you'll love this totally stylish pairing of a black turtleneck and a Burberry suede clutch bag in tiered fringing. You could perhaps get a little creative in the footwear department and spruce up your look with black embellished suede heeled sandals.